Father William Francis Eckert, 85, a priest of the Diocese of Camden for almost 50 years, died Jan. 18. Father Eckert served as pastor at St. Maurice, Brooklawn (1987-90); St. Edward, Pine Hill (1990-92); and Resurrection, Marmora (1992-94). For more than 10 years in the 1960s and 1970s, Father Eckert took part in the Brazilian Missions. 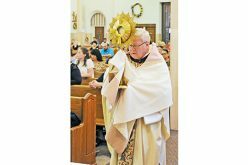 In occasional pieces published in the Catholic Star Herald, Father Eckert shared his experiences of working with residents of the South American country, and bringing his Catholic faith to them. to work in four parishes. The priests who served in Brazil, like himself, “came to staff, to preach, to teach and to witness to Christ and his church…. Work among the poor was not neglected,” he wrote. 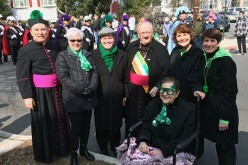 He was parochial vicar at St. Raymond, Villas (1964); Our Lady of Mt. Carmel, Berlin (1964-65); St. Maria Goretti, Runnemede (1971-72); Sacred Heart, Vineland (1972-73); St. Isidore, Vineland (1973-77); St. Vincent de Paul, Mays Landing (1978-80); Our Lady of Good Counsel, Ocean City (1980); St. Mary Magdalen, Millville (1982); and Sts. Peter and Paul, Turnersville (1982-84). Father Eckert was also chaplain at Shore Memorial Hospital in Somers Point. Father Al Hewett, who first met Father Eckert in 1966 when the two were working together in the Brazilian Missions, remembered a priest who had “great compassion for the sick,” and was dedicated to fulfilling God’s work. Born in Jersey City, Father Eckert attended Seton Hall University in South Orange; Maryknoll Seminary in Ossining, N.Y.; and Our Lady of the Angels Seminary in Albany, N.Y., before being ordained on May 16, 1964 in Camden by Archbishop Celestine J. Damiano. Before being ordained, he served in the U.S. Navy during World War II. 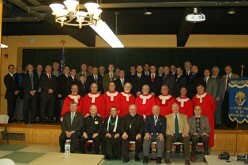 A Mass of Christian Burial was to be celebrated on Friday, Jan. 25 at St. Mark’s Church in Pittsfield, Mass. Burial was to take place at St. Joseph Cemetery, Pittsfield. 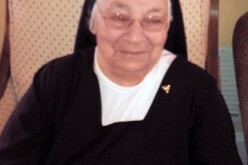 Mass Cards and messages of sympathy may be sent to Father Eckert’s niece: Irene Coviello, 91 Yvonne Drive, Dalton, MA 01126.